All your shell land on his well angled main belt that's why. It is safer to punch through the nose as it is much safer and you can nail the citadel at an angle on the nose. I have miss a freaking Bismark at 5km with sushi guns b4 so there's that. 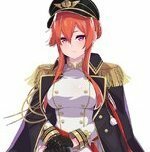 IIRC Flamu did a video of an Eire bouncing Yamato shells. Found one. Not the one I was thinking of but you get the idea. Wow. Almost 8.5k battles and you don't know even basic shell/armour mechanics? Doesn't matter what ship you are in, if the armour is angled enough and you don't have overmatch calibre guns, then you will bounce. As mentioned above don't aim for main belt when target is angled. Aim for bow or stern as you will have a much better change of overmatching the thinner hull plating.